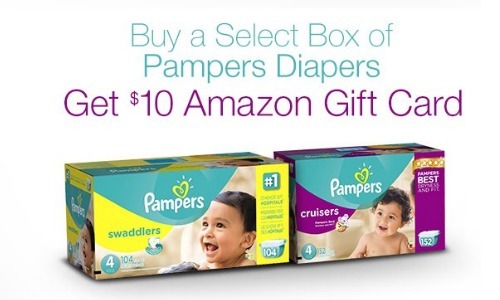 Check out this deal on Amazon where you can get a $10 Amazon gift card when you purchase (1) select pack of Pampers diapers! 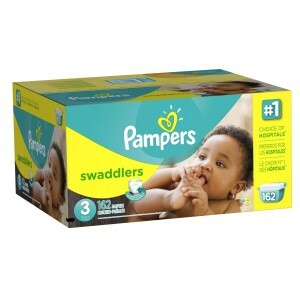 To get this deal, add an Amazon gift card to your cart and select a participating economy pack of Pampers. 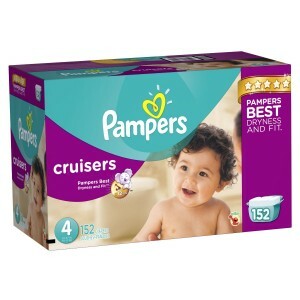 You can also clip a $2 coupon for each of these diapers to save even more. 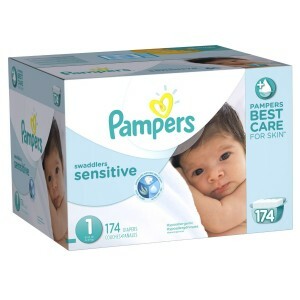 Look at the Special Offers section under each diaper product. There is a limit of one deal per customer. Shipping is FREE on orders over $35 or if you have Amazon Prime. Offer is valid for a limited time. Prices on Amazon may change at any time.